Going from being a married couple to being adversaries can be extremely difficult and emotionally draining. What can make matters worse is that this very personal experience will be subject to review in an impersonal legal setting. Fortunately, there are some specific things to avoid during divorce which can help make this process easier. In many ways, divorce can be one of the most emotionally challenging times in a person’s life. While it can be daunting to have to make decisions about your family and property in the midst of the turmoil of your marriage ending, it is important not to let your emotions dictate your decisions. While it may be that you are angry with your former partner, acting from a place of anger may cause you to make rash decisions or other choices which will ultimately harm your case. Children often bear silent witness to their parent’s conflicts. This can be even truer when a family is going through divorce. 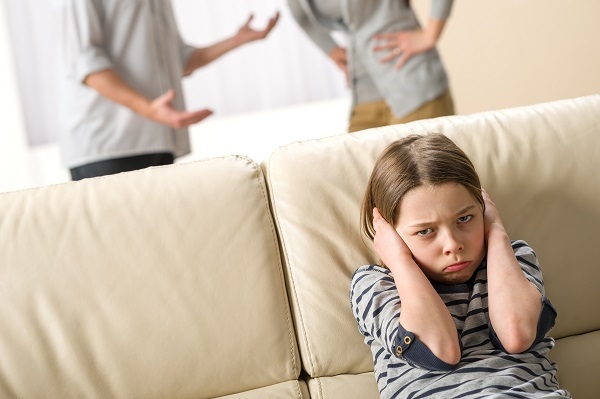 While it may seem harmless to vent to a friend or loved on about your former partner’s behavior or a proposed divorce term, when children are nearby they are usually listening. It is important to remember that they love both of their parents and hearing one parent disparage the other often causes them to feel intense anxiety and sadness. A better course of action would be to restrict discussions about the divorce and your ex, to times and places when the children are not around. A central piece of most divorce cases is how property and debt will be divided. By keeping spending to a minimum, the court will have a more realistic view of your financial picture. Were you to unnecessarily make a significant purchase it might appear that you are seeking to create an imbalance between you and your former partner. If you must make a major purchase while your divorce is pending be prepared to justify the purchase to the other party as well as the court. When going through a divorce, seeking the advice of an experienced family law attorney is a prudent decision. This allows you to tell your attorney about your personal circumstances and obtain critical advice about how to proceed during your divorce. While it may be difficult to talk about your personal situation, you will not help your case by not being upfront with your attorney. By being honest with your attorney, you make it possible for them to advise and represent you to the best of their ability.